Nothing creates a dreamy atmosphere as instantly as a good phase shifter. Most phasers, though, only allow for only a handful of textures. The SolidGoldFX Apollo II 4-Stage phaser expands that palette, offering every dimension of tweaking and shaping you could possibly want. Wide spectrum Speed, Regeneration and Depth knobs let you dial in the basics, while a Wave knob lets you choose from 10 different waveforms (the 11th being random). Most notably, this update on the original Apollo phaser features a microprocessor-controlled tap tempo, allowing you to sync up the rhythm of your phase shifts with the band - or act against them. Two 3-way toggle switches control syncopation and doubling and quadrupling of the phase shifts. The SGFX Apollo II is not an entry-level phaser. This is squarely aimed at the modulation-lovers out there who love endless tweakability. As part of that crowd, we're satisfied. Most mini-boosters all chase the same rabbit: "x" number of decibels of clean, transparent boost. 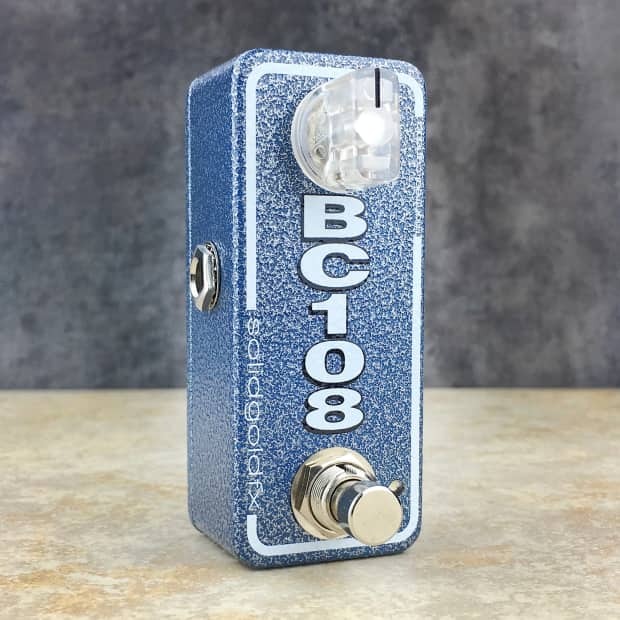 SolidGoldFX decided to take the one-knob mini-boost template and give it some flavor. 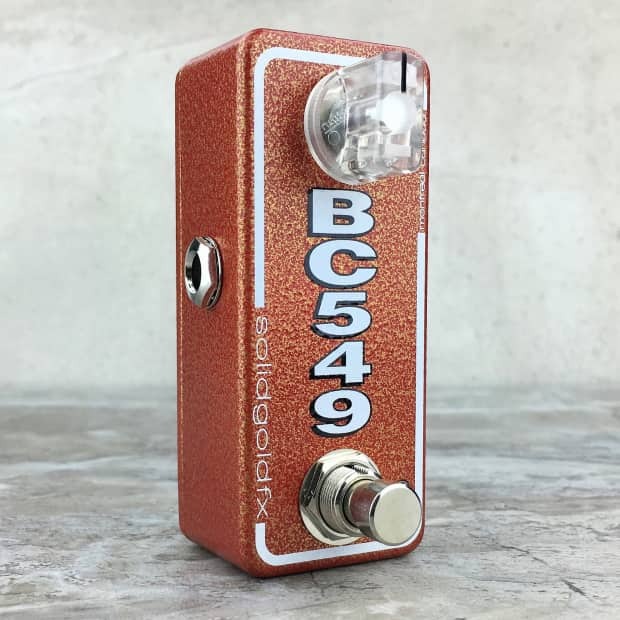 Sold only direct through the SolidGoldFX Custom Shop, the company now offers four simple mini-boosters, each based on a different circuit character to give different EQ humps and timbres to the boost. 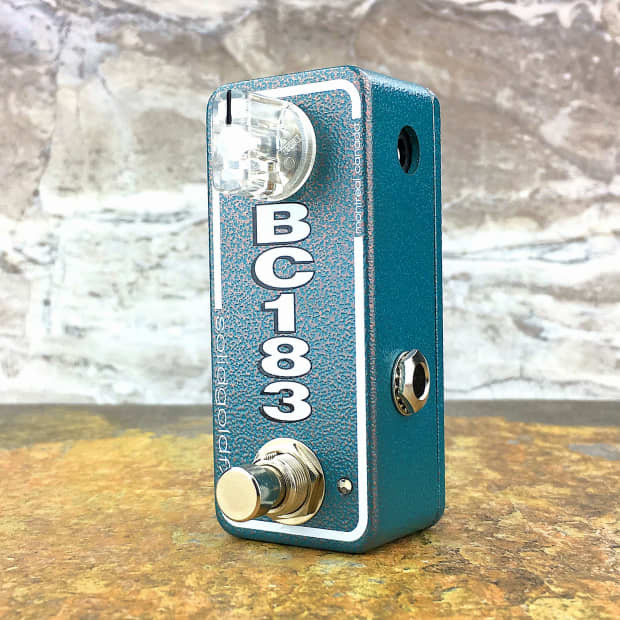 BC183 - Warm and fat with a low-mid focus. BC108 - Crisp and clear with a chimey upper-mid focus. 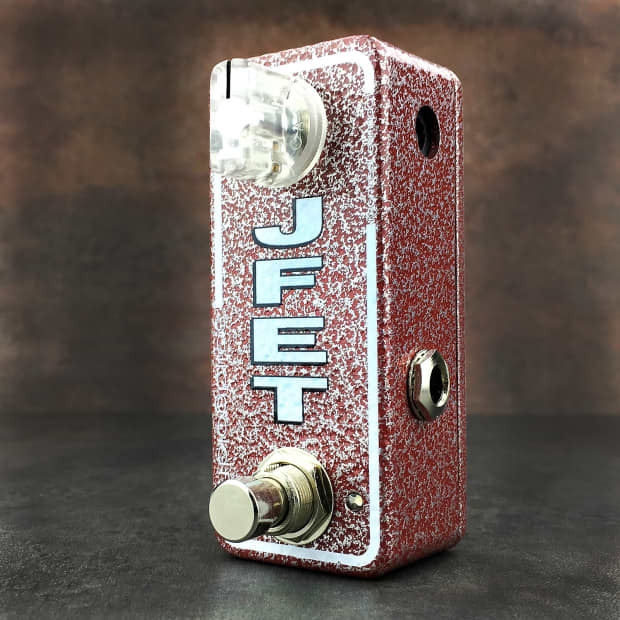 JFET - Tight and transparent with high-end sparkle. BC549 - Dirty and crunchy with a flat mid emphasis. Borderline overdrive. As Joe demonstrates, these are great for modular stacking as well as just buying as singles. Could this be the beginning of pedal circuit atomizing in the same way synths have moved to Eurorack modules?